As global health institutions and aid donors expanded HIV treatment throughout Africa, they rapidly "scaled up" programs, projects, and organizations meant to address HIV and AIDS. Yet these efforts did not simply have biological effects: in addition to extending lives and preventing further infections, treatment scale-up initiated remarkable political and social shifts. In Lesotho, which has the world's second highest HIV prevalence, HIV treatment has had unintentional but pervasive political costs, distancing citizens from the government, fostering distrust of health programs, and disrupting the social contract. Based on ethnographic observation between 2008 and 2014, this book chillingly anticipates the political violence and instability that swept through Lesotho in 2014. This book is a recipient of the Norman L. and Roselea J. Goldberg Prize from Vanderbilt University Press for the best book in the area of medicine. Nora Kenworthy is an assistant professor in the School of Nursing and Health Studies at the University of Washington Bothell and an adjunct assistant professor of anthropology at the University of Washington Seattle. More information about Kenworthy's work—which focuses on questions of how politics and policy relate to population health in both global and domestic contexts—can be found at http://faculty.washington.edu/njk8. "This book should be required reading in any course on global health. It leads us to consider the legacy and unintended consequences of HIV scale-up, scale-down on recipient societies dependent on external aid and to question the HIV experience as a template for future global health projects. Kenworthy provides us with a multi-site ethnography that aptly illustrates ways in which global health is becoming a form of governance undermining struggles for democracy in African states by introducing yet another form of colonialism." "The little country of Lesotho is easy to overlook. It is completely within South Africa's borders, has no natural resources or strategic value. The dependency on employment in South Africa has meant men, and increasingly women, have migrated for a century. The economic, social, and political pressure have combined with the HIV virus to give Lesotho the unenviable distinction of having the worst epidemic in the world. Kenworthy's book on this often ignored country is excellent. She shows a depth of understanding that is exceptional. It should be read by Southern Africanists, epidemiologists, and all who are concerned by the AIDS epidemic. It is not, however, a comforting read." "Mistreated is a timely, people-centered critique of the global health enterprise. Grounded in close-up, careful, ethnographic engagement and offering rich and nuanced theoretical insight, the book takes up HIV in Lesotho as a site not only of health, illness, and interventionism, but of the transformation of politics and subjectivity. Vividly narrated, this is a powerful and much-needed call for the democratization of global health policies." 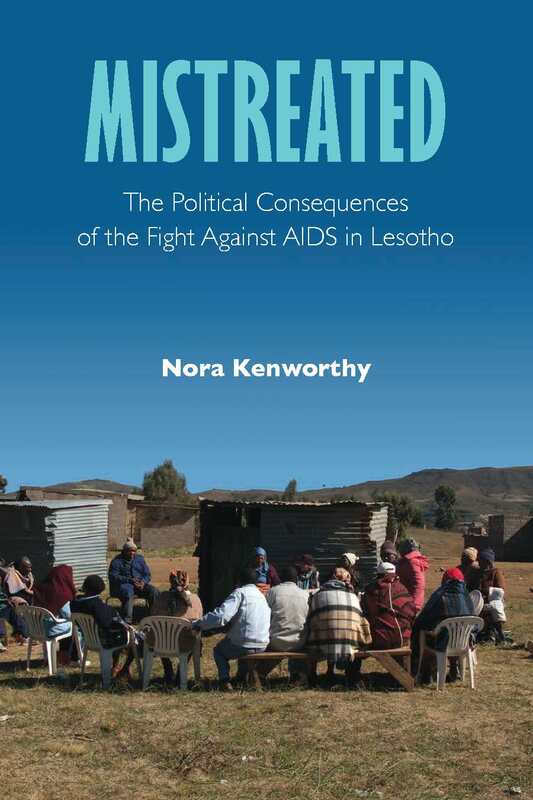 "Nora Kenworthy's new book is the finest example of a new wave of ethnographic studies documenting the impact of the HIV epidemic, and of the responses that it has generated at every level, from the global to the local. Kenworthy's analysis provides key insights into the political dimensions of the epidemic—not only into the more abstract dimensions of biopower and governmentality, but of the ways in which the politics of AIDS plays out in the everyday experience of people confronting the epidemic on the ground. This is critical social research at its very best."